From an early childhood, Sharon Scholz had an interest in sport. She rode horses and competed in dressage and one-day events following in her parents’ footsteps in the horse industry. Scholz also went on to play netball in early high school and occasionally competed in social netball and volleyball competitions throughout her late teens and early 20s. But it wasn’t until 2006 that Scholz, along with husband Justin, decided to change her lifestyle to reduce stress and improve fitness, health and overall well-being, so in 2007 the couple each took their first steps as runners and they haven’t looked back since. By the end of that year, Scholz had lost a significant amount of amount and had completed her first marathon. Whilst her time of 3:38 may not have been world beating, it was a brilliant achievement after having just put her running shoes on for the first time 10-months prior. Scholz saw improvement after improvement, and entered her first track ultra in 2008, the 12hr Coburg in Melbourne, Vic. Not only did she complete it, but with encouragement from her partner, she went on to complete the 24-hour event which was being undertaken at the same time, and managed the then 7th best ever track distance by an Australian woman. At this stage, there was definitely a natural talent creeping out of this Aussie long distance athlete. 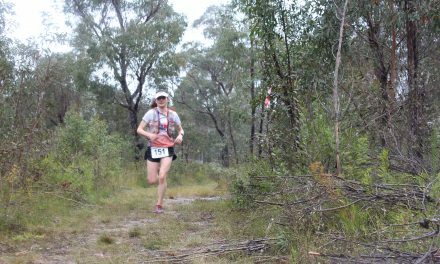 Her experience includes the 2009 Caboolture ultra event, where Sholz was asked by the Australian 24hr team selectors to prove her fitness, and she did this successfully by running a slow 100kms off a very limited base. The Wangaratta resident was selected in the Australian Commonwealth Championships 24hr team and just five weeks later at the Commonwealth Championships in the UK, Scholz ran 195kms to finish 3rd best of the six Aussie women and 8th overall. The Australian team was awarded a silver medal for their combined distance behind gold medal winners England. In April 2010 Scholz gained selection again for the World Championships and left for France in April 2010 with high expectations. Those expectations were exceeded however when she finished the race 6th outright female and 1st placed Australian woman smashing the Australian Road Course Record by nearly 20km. Later that same year, she competed in the 48hr Australian Championships, and despite it being her first 48-hour event, Scholz broke the Female Australian Record with a final tally just over 333km. In December 2010 she ran in the 240km event Coast to Kosciuszko and broke the Women’s Race Record. It’s truly not surprising that this ultra running rocket landed her the title of Australian Female Ultra Athlete of the Year as well as World Female Athlete of the Year (IAU). Her list of achievements continued, despite 2011 not going to plan due to injuries and health issues. 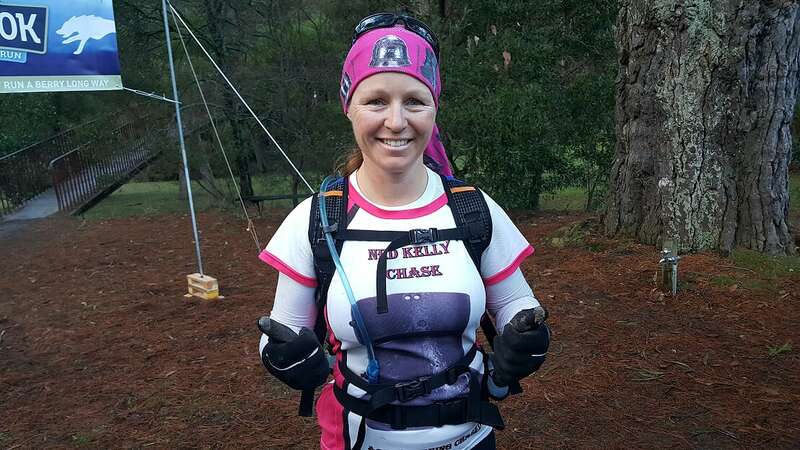 Scholz won the NZ 100kms Championships, broke three major track records (12hr, 150kms and 100mi) in Brisbane, and finished 3rd Female at the Coast to Kosciuszko. The 100mi record she broke in Brisbane saw her become the first Australian female to break 16 hours for this milestone and in that race she broke records earlier established by, arguably, Australia’s three best ever female ultra-runners in Mary Morgan, Helen Stanger and Margaret Smith. Smith’s 100mi record had stood since 1984. 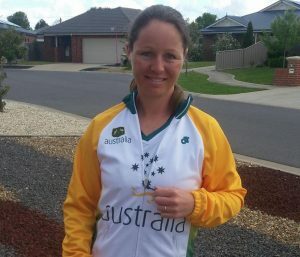 She has since been again on the 24hr World Championships team for 2012 in Poland, completed Coast to Kosciuszko for the third time, and broke 12 records in 2013 during the 24hr event in Sydney as a walker following a distance of more than 187kms. It was the 3rd best ever distance walked in 24-hours in Australia. It was also at that event that Scholz and her husband became the first married couple in history (worldwide) to have run 200kms+ and walked 100mi+ in 24 hours in the same calendar year. “Every ultra event is an individual feat,” she says. “We’re not competing directly against a specific person, yet we are also surrounded by camaraderie and the passion of others taking on the same challenge. “Each runner is often surrounded by supporters and/or crew helping us achieve our best outcome for the day. This weekend’s IAU 24hr Asia & Oceania Championships in Chinese Taipei will be Scholz’s 10th selection and 9th participation, and despite her incredibly impressive resume, she still gets those butterflies in her stomach. “It was nervous excitement when I got the call that I’d made the 2018 team,” she reveals. Scholz will be racing alongside her Australian team mates at the 2018 IAU 24hr Asia and Oceania Championships in Chinese Taipei the weekend of December 1-2. Pictured: Sharon Scholz. Photographs – Supplied.